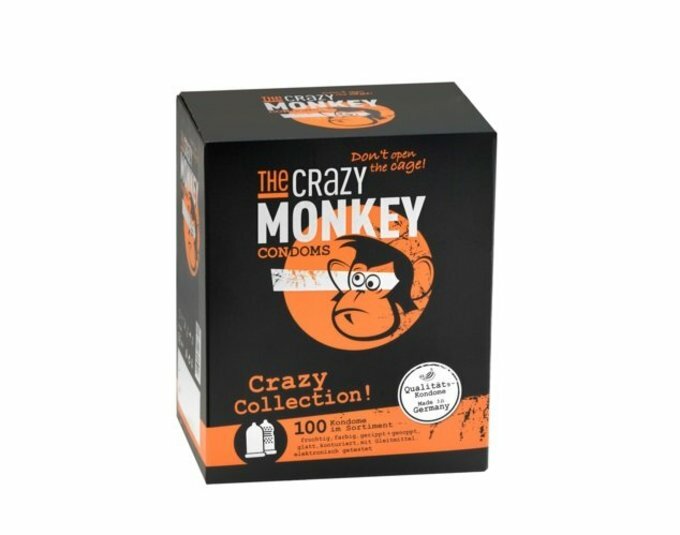 Condoms of the brand The Crazy Monkey Condoms are made by CPR. 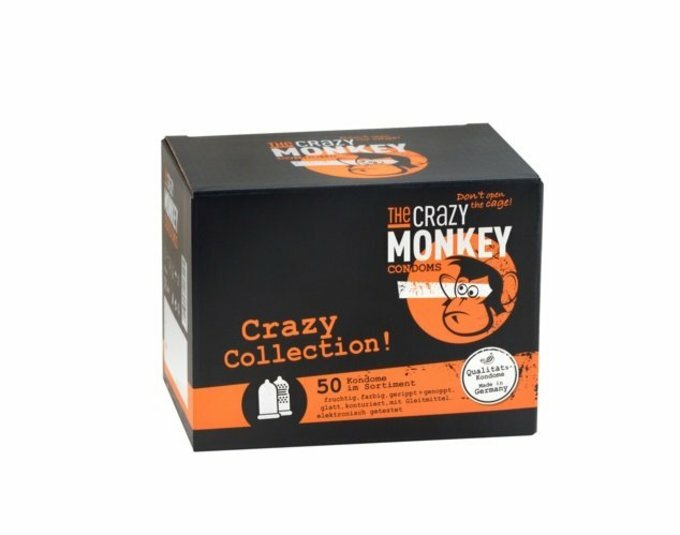 Since 2016, the brand “The Crazy Monkey Condoms “ is a part of the CPR portfolio . The brand offers customers an assortment of “ Made in Germany” condoms with varied product attributes in different packagings: Fresh Mint, Banana, Fun+Friction and X-Large as 3 pcs and 12 pcs condom boxes and Crazy Collection as 50 pcs and 100 pcs box. 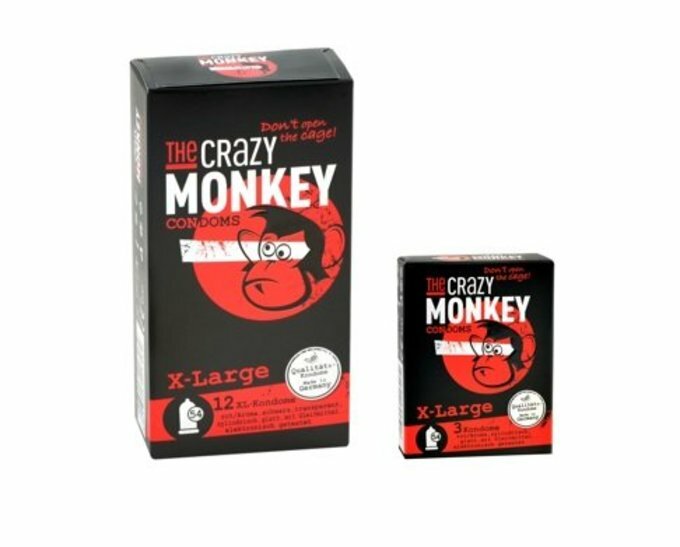 All condoms of the brand “The Crazy Monkey Condoms” are made from natural rubber latex; they are manufactured on special in-house-developed “state-of-the-art” machinery. All condoms comply with most of the common international standards like ISO 4074. 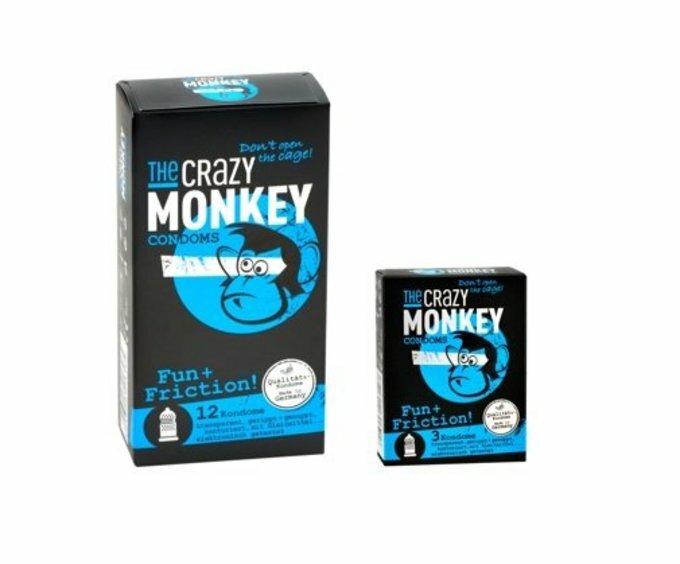 For detailed product information of condoms of The Crazy Monkey Condoms please visit www.mein-kondom.de. Extra lang. Nominale Nennbreite: 54 mm.